Fall is officially here, pumpkin spice is everywhere, and hunters all over Texas are gearing up for hunting season. Think you’re ready? Test your knowledge of some of the details of hunting season. True or false: If you hit a deer with your car, you can tag it and get it processed for meat. Which season comes first in the calendar year? True or false: You can hunt deer with a bow weeks before you can hunt them with a gun. What is a bag limit? The regulation on the size of bag that can be carried by a hunter. The type of bag in which an animal must be brought to the taxidermist. A type of tag that must be put on an animal according to its size. The maximum number of an animal that a hunter may kill in one day. At what time of day is it legal to start hunting? 6. Which does not have a season in Texas? True or false: Children are not allowed to hunt. 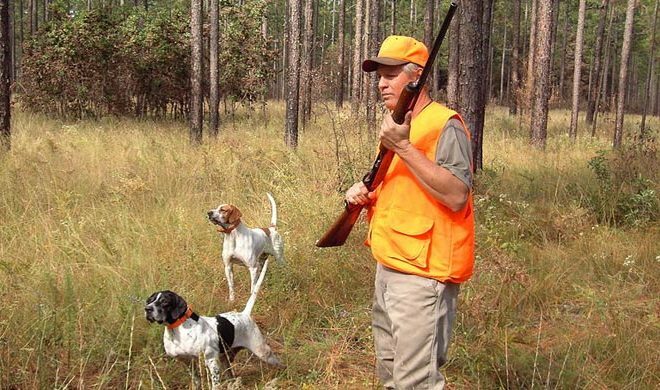 Why do some hunters wear orange? To be seen by other hunters.